What does a Furniture Medic business do? A Furniture medic franchise caters for both commercial and domestic customers. Furniture Medic offers a full range of furniture restoration services using advanced techniques and materials to restore furniture in both homes and all types of commercial enterprises. Repairs include upholstery recovering and repairs, leather and fabric repairs, polishing and refinishing, colour matching scratches, dents, watermarks and burns, antique restoration, re-upholstery and structural repairs, French polishing and wood finishing. As a fully trained Furniture Medic, you will be in a position to perform a wide range of furniture repairs. Our franchisees provide home and business owners with an affordable alternative to replacing fine wood furnishing and fixtures. As a Furniture Medic furniture restoration franchise owner you will have the opportunity to build your business on our system’s solid reputation and established methods. Entrepreneurs taking the Furniture Medic franchise business opportunity will provide on or off site restoration, or act as an intermediary for your national accounts’ customers, organising the various trades (upholsters & polishers) to complete repairs. We’re looking for self motivated individuals to develop and manage their own Furniture Medic business. You will need to be determined, able to follow system and meet deadlines, possess good communications skills and have practical aptitude. You must be enthusiastic with a positive outlook. Above all you need a willingness to work hard, be prepared to work flexible hours and a have a desire to build and develop your own business. Furniture Medic franchisees will have a great sense of satisfaction in providing these services to customers; seeing the benefit of differentiating your service from the competition and the positive impact that can have on the profitability and overall success of the business. 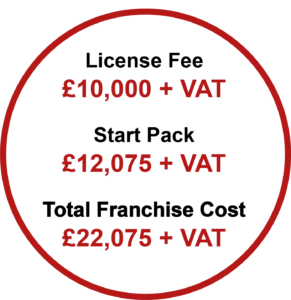 It is our aim to help you build a highly successful franchise to maximise your investment.